Kid Adventures: Sky Captain includes 40 exhilarating missions from sky racing, stunt flying, target shooting and treasure hunting. Players will also have the option of inviting a friend to the cockpit and playing cooperatively in any of the missions or head-to-head in multiplayer mode and can unlock several flying machines including a jet plane and UFO. 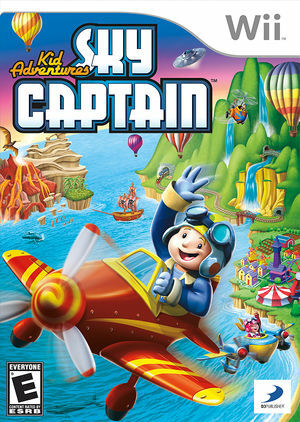 Kid Adventures: Sky Captain provides the chance for players to improve their flight skills, scores and rank, and is fun for the entire family to enjoy! The graph below charts the compatibility with Kid Adventures: Sky Captain since Dolphin's 2.0 release, listing revisions only where a compatibility change occurred. This page was last edited on 12 January 2018, at 14:19.